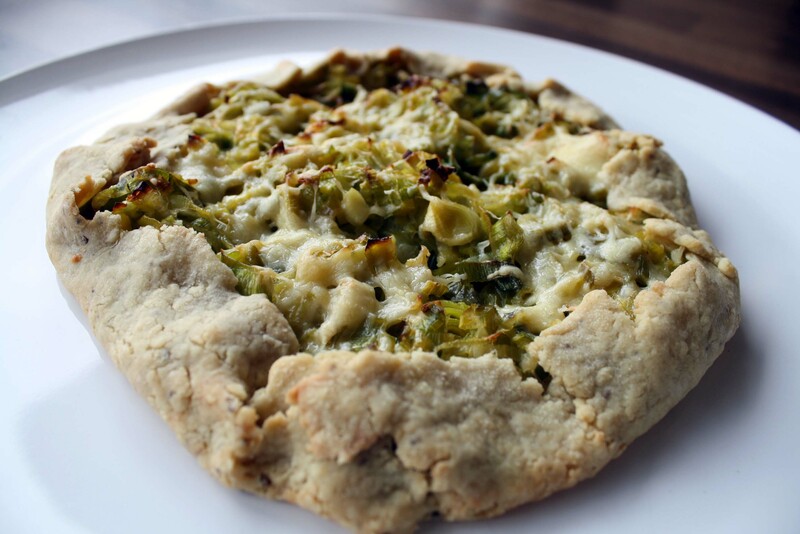 Leek Tart. | Because of London. 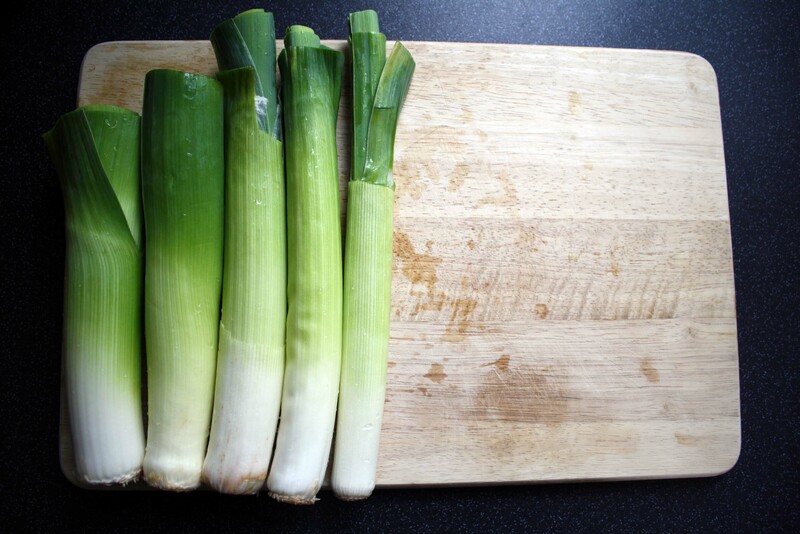 Leek is the sort of vegetable I usually lean over in a supermarket when reaching for carrots. It is one of those veggies I buy when I have a plan, a recipe in mind, it’s the so-called purpose-bought food. 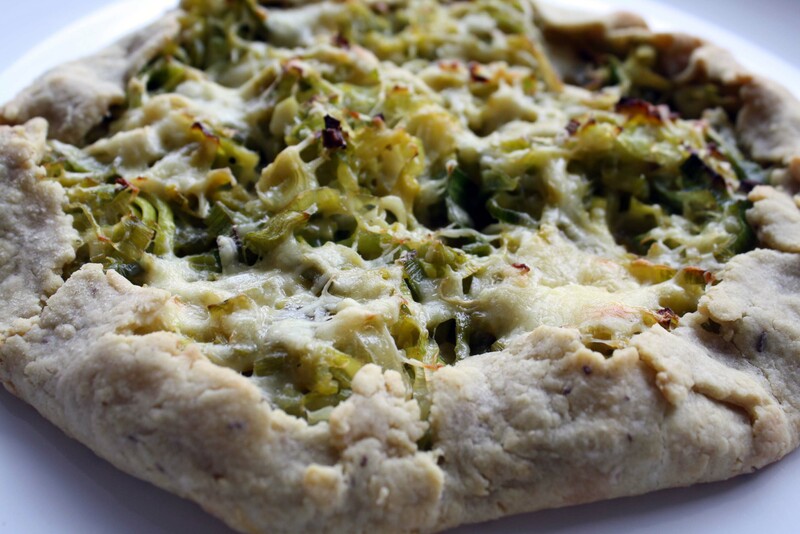 But ever since I discovered this recipe, leek has regularly been appearing on my shopping lists. 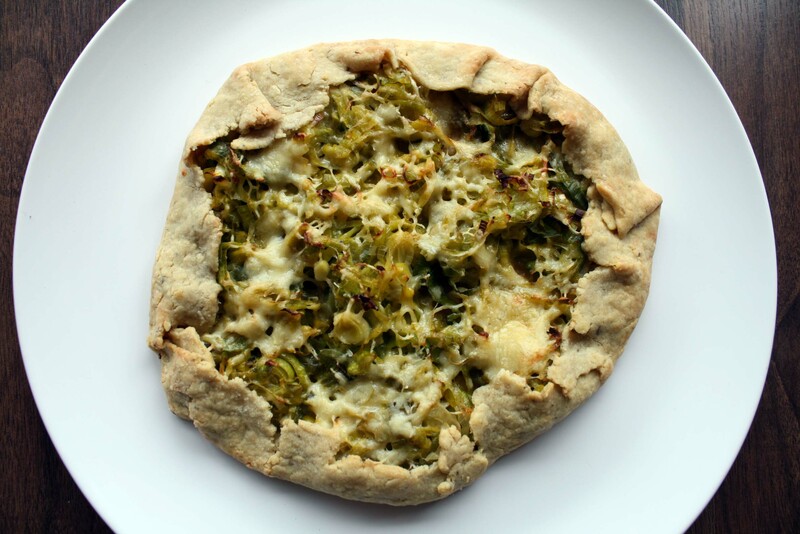 Before making this recipe I would never put the words tart and simple in one sentence but this recipe made me change my mind. It doesn’t involve any annoying tin-lining and even without it, it looks fab! Oh and I almost forgot – it’s divine! If using butter, let it soften out of the fridge. If using marg, pop the right amount in the freezer for about 15 mins. I usually use marg in the pastry as to me it doesn’t make a difference. But I know some people are particular about butter. Feel free to use either. Beat the softened butter (or cold marg) with the sugar, caraway seeds and a pinch of salt until soft and creamy. Then sift in the flour (I always sift my flour, it takes no time and can’t do any harm). Add the egg yolks and water. Bring it all together in a bowl, then put on a surface and lightly kneed, once or twice, just to bind it all together but not overwork it. 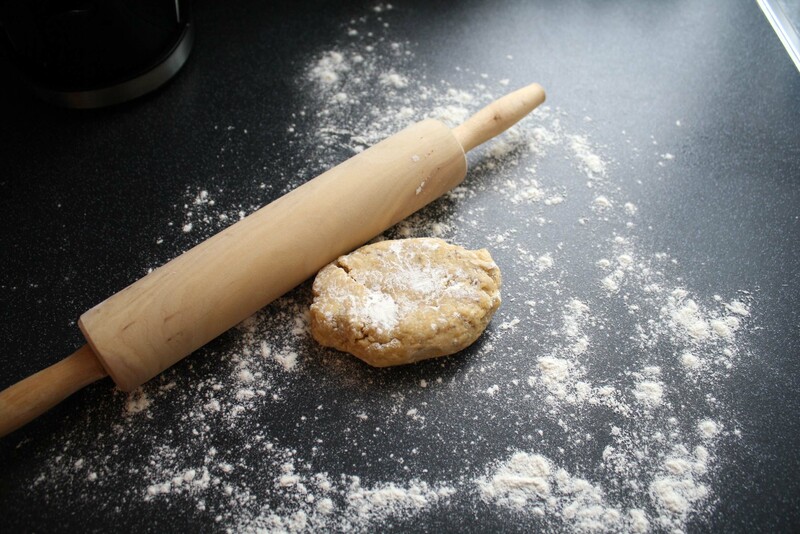 The dough will still be a bit crumbly, leave it that way as long as it holds together, if it doesn’t add a little bit more water. Wrap it in cling film and refrigerate. Melt the butter to generously coat the pan. 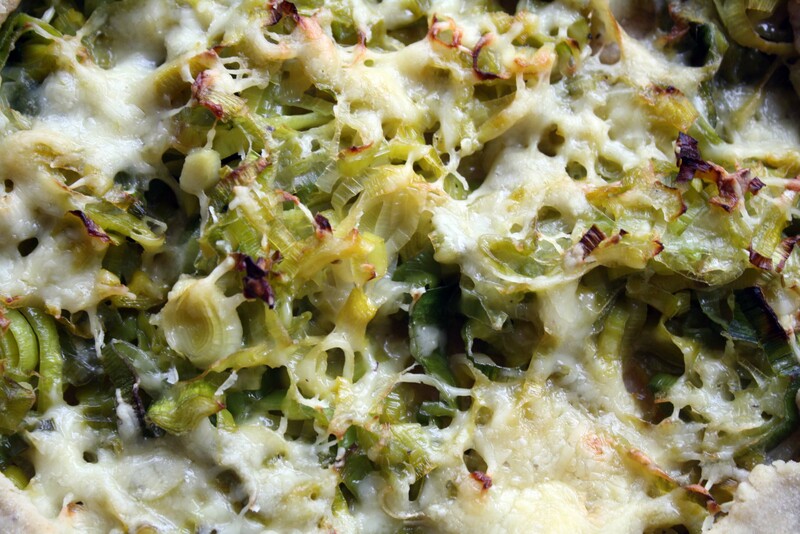 Here I use butter without a question because it wakes up the flavour of the leeks and contributes to its sweetness. 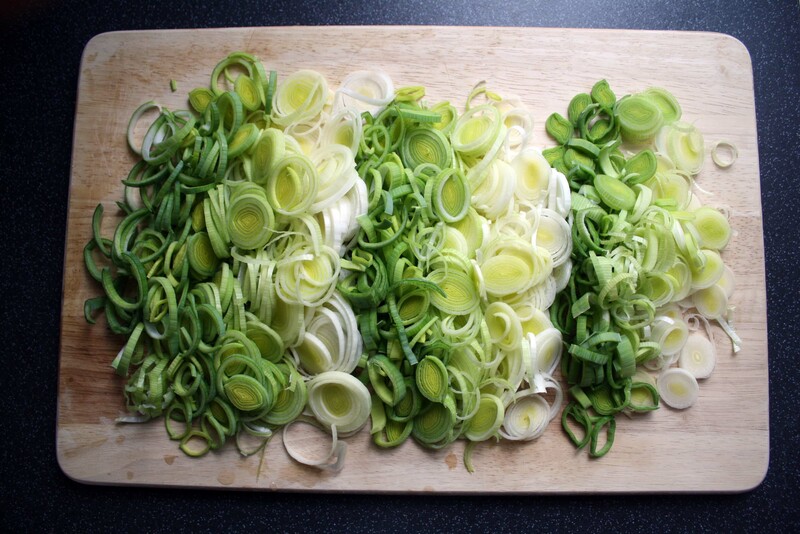 Add the chopped leeks. It will seem like an enormous amount of veg to use but don’t worry, it will condense fairly quickly. Let it sweat for 10 mins, occasionally turning it over. Add the wine. When I don’t have any at home, I leave it out, it’s delicious none the less. But obviously it adds extra flavour so it’s up to you. After adding wine, cook for two more minutes. Season with salt and pepper and let it cool down. When both the pastry and the filling is chilled, preheat the oven to 180C/160C fan/gas mark 4. 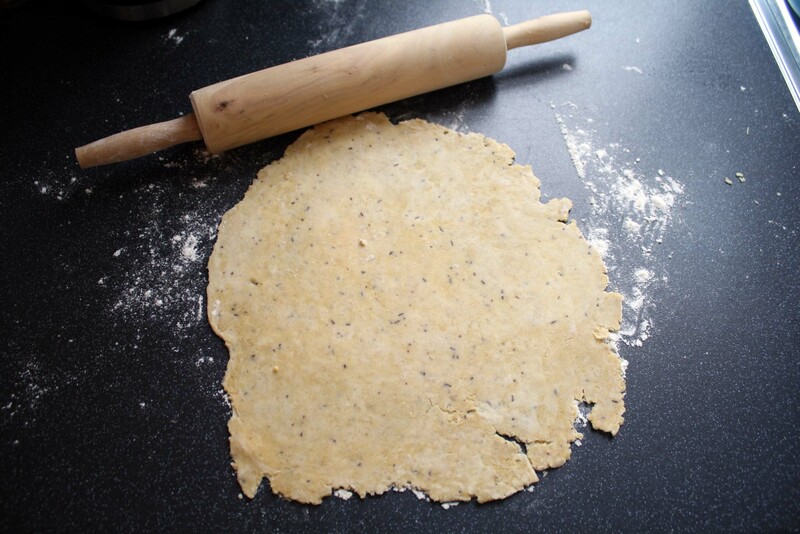 Split the pastry into halves (you can use scales if you want to be precise) and roll each half out on a lightly floured surface into two circles, the thickness of a one pound coin. 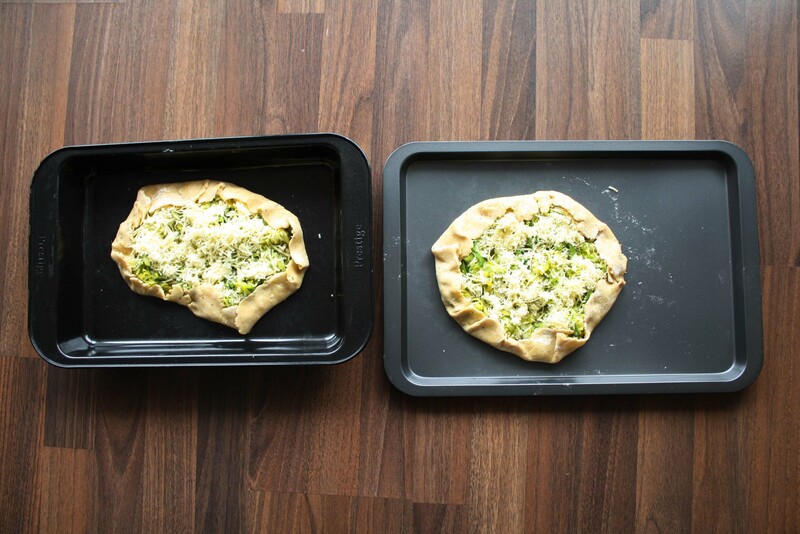 Transfer it onto a greased baking tray (if using non-stick, no need to grease). 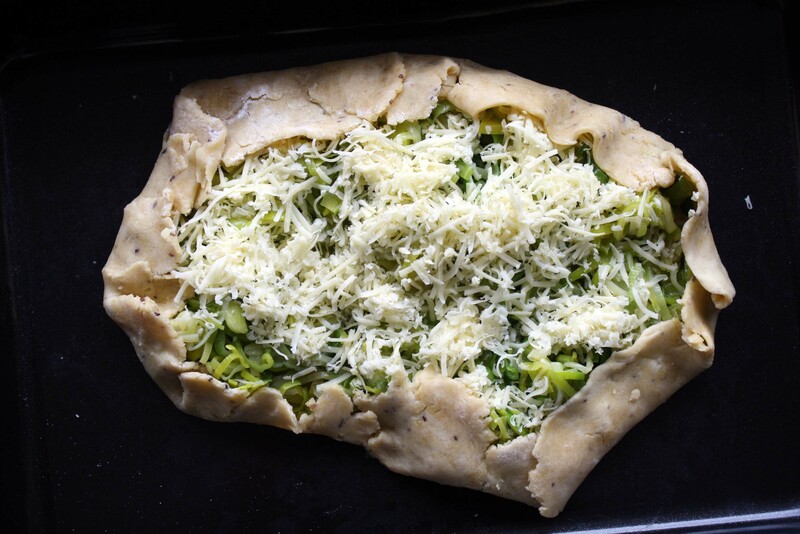 Add half the leeks to the centre of each pastry, leaving about an inch-sized boarder. 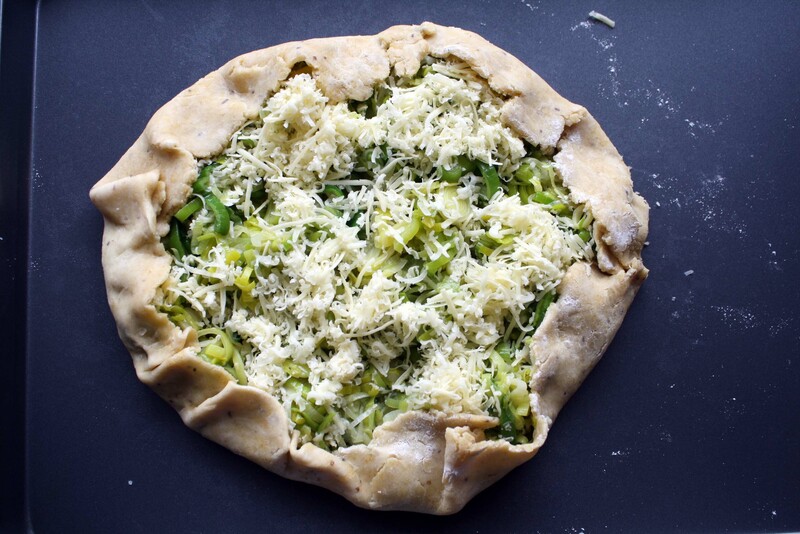 Sprinkle with cheese (about a handful on each) and fold the edges over the pastry. Maybe not perfectly round but equally delicious. Bake for 25-30 mins until slightly golden and crispy. 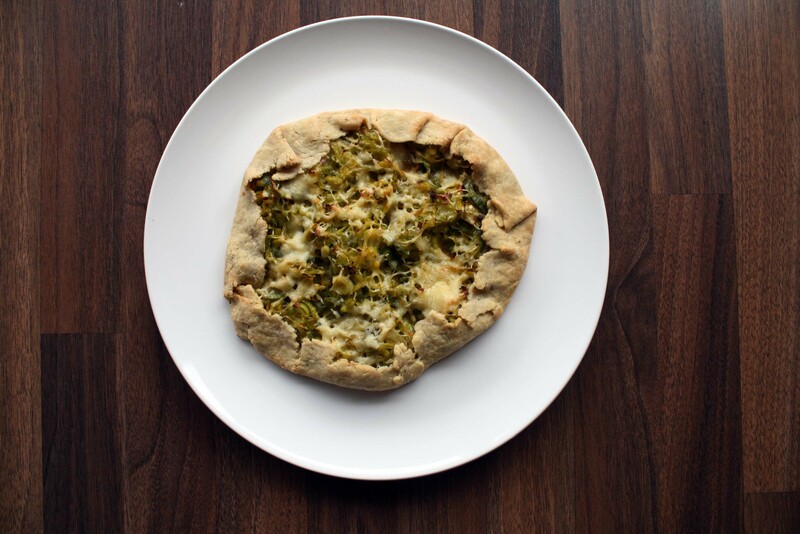 Feel free to experiment with ingredients. Next time I want to add garlic and pancetta! 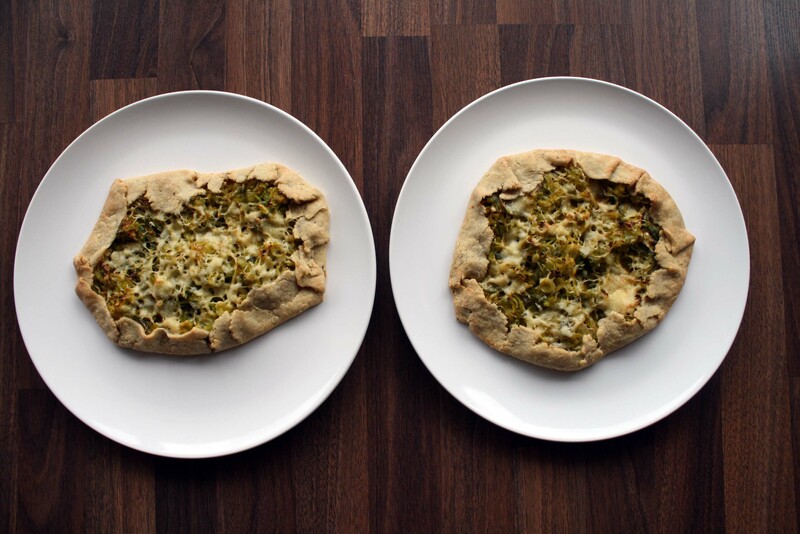 This is inspired by a Rachel Khoo’s recipe found in a magazine. « Just dreaming…this time last year. Also I just discovered your blog, and can I just say it’s absolutely beautiful. To be honest it’s not good for me to find it now, because I really should be doing dull uni work. 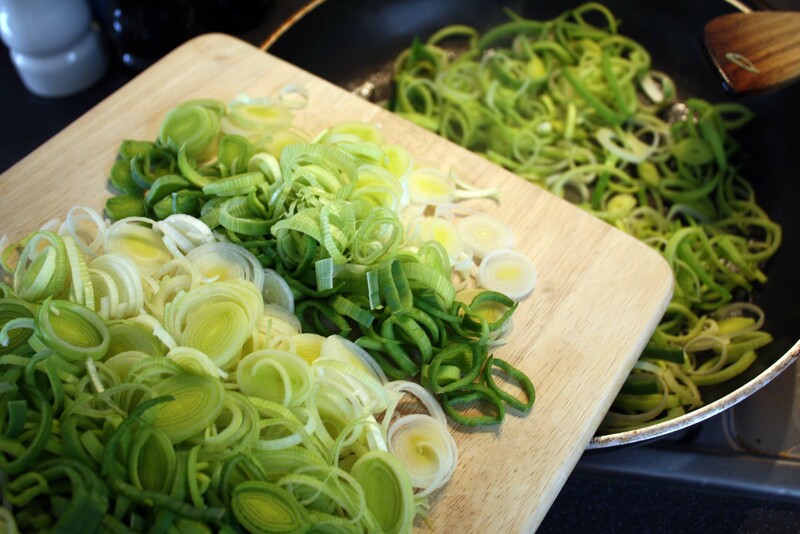 Yes, I also want to find a few more recipes to put leeks in use a bit more in my kitchen. All I make is this tart and leek soup. 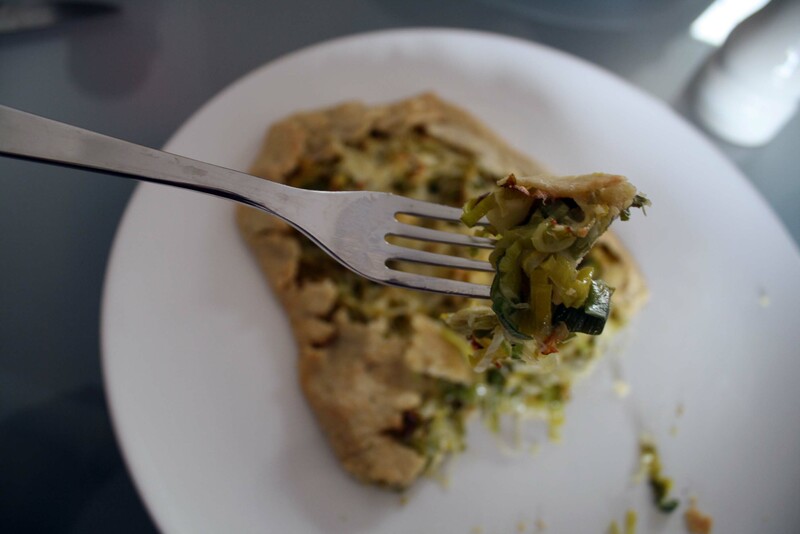 What recipes did you make on your leek challenge? Sounds like fun! I am going to have a look right now! I’ve bookmarked your blog a while ago but this must have escaped my attention.